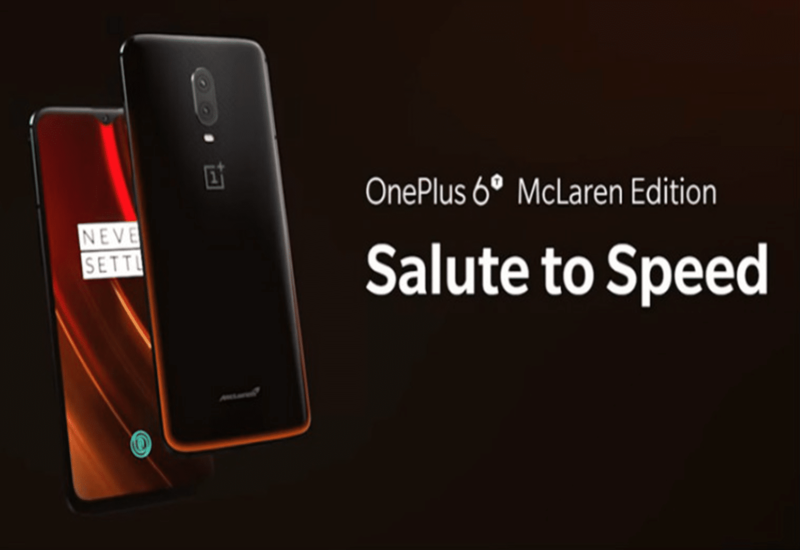 OnePlus 6T’s new variant, the McLaren Edition has arrived in India and since it’s a flagship, the pricing is also super high. The McLaren Edition will be available in the country for Rs.50,999. With this, OnePlus has also crossed, for the first time, the mark of Rs.50,000 for any of its phones. The 6T McLaren Edition will go on sale in India on December 15th, 2018, via Amazon India portal, and also on OnePlus India website. The phone’s new Edition was unveiled in Mumbai, yesterday evening. The big difference is definitely of the looks and how the 6T McLaren Edition feels in your hands. It is very premium looking with design and colours inspired by the McLaren racing car itself. And on top of it, the phone’s superfast performance itself makes it a superphone, with speed being the priority. Speaking about the phone’s design specifically then there is a brand logo of McLaren on the back, towards the bottom. The edges and borders of the phone are in Papaya Orange colour (again, just like the McLaren racing car). Not only this, but the colour of the phone’s USB Type-C cable has also changed to orange which looks fantastic. Plus, this time OnePlus has also provided VOOC charge technology for the 6T McLaren Edition (for the first time), unlike its previous phones where there was the regular Dash charging support. The only difference is that the VOOC charge technology will enable the phone to get a quick boost in very less time. Talking about the technical specs then the biggest upgrade to the 6T McLaren Edition is the mammoth 10GB of RAM, as compared to the 8GB variant of the usual OnePlus 6T. The phone has a 6.41inch Full HD+ AMOLED display, with an aspect ratio of 19.5:9. Other things are mostly similar like Snapdragon 845 and the 3,700mAh battery. The internal storage is also huge at 256GB. The camera optics are also similar to that of the OnePlus 6T regular model, with dual-rear lenses and front selfie camera.